Atlanta, GA. 19 August 2016 – Chris “Ludacris” Bridges and the Ludacris Foundation are ready to take over Atlanta for their 11th annual Ludaday Weekend. Although this star-studded series of events takes place on Labor Day weekend, Ludacris’ yearly celebration has become a staple Atlanta ‘holiday’ within itself. 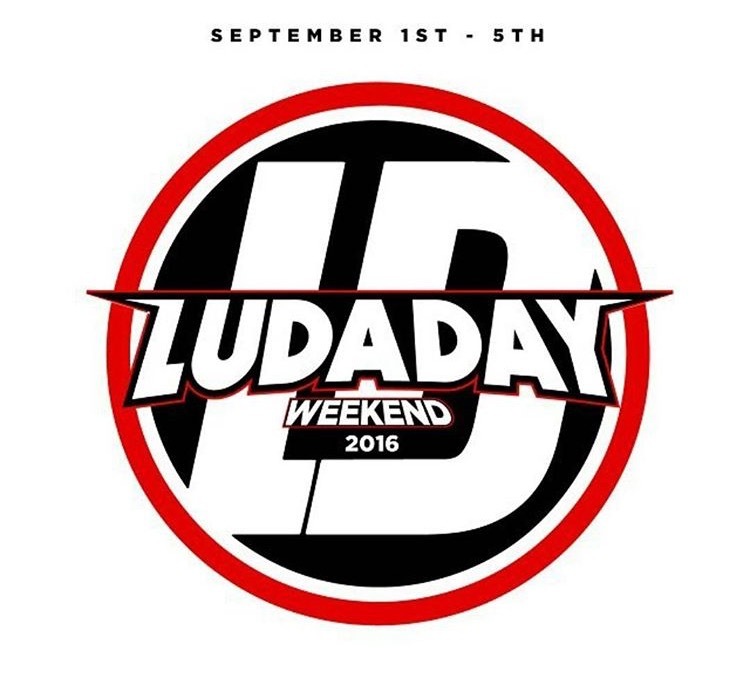 With the expected attendance of celebrities such as Rick Ross, Terrence J, Kent Bazemore, Marshawn Lynch, and Lance Gross… to name a few, the 2016 Ludaday Weekend will definitely be one not to miss. Kicking off Thursday September 1st, Ludaday Weekend will join forces with music rights organization – BMI, to present the BMI R&B/Hip Hop Awards, hosted by actor Chris Tucker. On Friday September 2nd the Ludacris Foundation is encouraging all golf-lovers to join them as they jump-start the day with their charitable golf tournament. Friday evening, all of the who’s who will gather for the Ludaday Bowling Event. Held at Bowlmor Alley in Sandy Springs, this annual event features top celebrities and tastemakers as they face off in a friendly bowling competition to win funding for their charity of choice. Sunday, September 4th, the Ludacris Foundation are welcoming 25 teens to a private brunch where the attending youth can gain insight and share stories with some of Ludacris’ celebrity friends. Following the charity brunch, Ludacris and the ‘biggest boss’ himself, Rick Ross, suit up for the Team Luda VS. Team MMG celebrity basketball game. Following Sunday’s basketball match up, all guests are invited to take a swing on the tees at Topgolf’s Midtown Atlanta location for a private party at Atlanta’s premier golf entertainment complex. Celebrities, athletes, VIP’s and all local & out-of-town guests are invited to enjoy an evening of music, food, mingling and most of all – golfing, on their plush 3-level driving range. “Ludaday Weekend is a very special weekend for me. I’m truly grateful that I can gather all of my family, friends and the Atlanta community together to help me celebrate the holiday as well as raise funding towards my foundation. I can’t wait for all the surprises we have in store for Atlanta this year,” Ludacris states. In past Ludaday Weekends we have seen special guest appearances from celebs such as Justin Beiber, Chris Brown, Dwight Howard, Gabrielle Union and many more. Stay connected socially throughout August & September with #LudadayWeekend2016 as special guests, after parties and private events will be announced. City of Atlanta, Brand Jordan, Roadie, Star Club and Acid Cigars. Since 2001, The Ludacris Foundation has been helping youth help themselves and has invested more than 10,000 hours in devoted service to youth across the nation. Our Leadership and Education, LudaCares, Living Healthy and Going Green programs have impacted tens of thousands lives. How can I purchase tickets for the celebrity basketball game ? This event is so unorganized. It didn’t start on time, line was at least an hr long. If you have printed e-ticket you had to go to the box office and get a physical ticket, BUT, you then had to get back in line. Luda? …Luuuudaaaa? For real? I love showing up for charity events, however, this particular one was a disaster. Will no be returning.